This is the hardest thing we’ve written so far for this website – a collaborative piece about the lessons learned from our two years of travel around the world. It took us over six months to distill our key learnings from 26 months of constantly meeting people and learning about the world around us. Even now, my feelings towards these life lessons are still evolving, albeit at a much more settled rate these days. I’ve had a lot of time to sit and think about people, society and culture – it’s one of my favourite things to do. These topics are wildly complex, so the challenge has really just been to explain everything accurately and succinctly. After reading through this piece, I’m so proud of where I’ve come and what I’ve achieved over the last few of years. I hope you too can get something out of it. 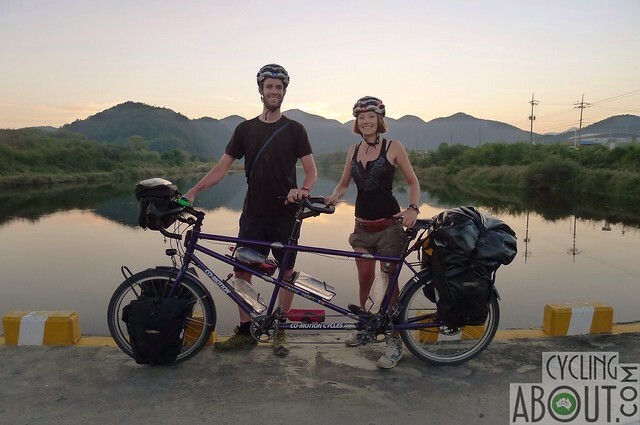 Cycling through a beautiful part of South Korea at sunset. Despite small differences (in culture, food, habits, personalities) fundamentally and wonderfully, people all over the world are the same: we all love our family and friends, we all hurt in the same ways, we all want for the same things, we all ask the same questions, we all have similar values, strengths and flaws. We’ve become quite accustomed to all of the differences, oddities and things that we might’ve once found frustrating. There is no doubt that differences should be celebrated, as they make the world an interesting place, and in fact can make engaging with people easier. Our similarities should also be constantly remembered because by and large, we are the same; we are humans. Imagine what the human race could achieve if we celebrated all cultures, rather than putting so much energy into fighting our differences. There is a basic, undeniable misunderstanding in every culture, and that is with regard to other’s religious practices and beliefs. We are inherently looking for something to define our discriminations with; however, one needs to look no further than the home of a family on their day of rest to instead find the similarities and love shared. Time and time again, we were invited in to people’s homes and often celebrated as a new part of their extended family over a meal or three. The observation of religious practice brought stillness, love and presence to every meal, the families and people we broke bread or scooped up rice with often felt the presence of their particular deity when they were closest to their loved ones. The country of imbibing did not matter, whether it was thanking God in The Netherlands, giving thanks to Allah in Turkey, being surrounded by the colourful beauty of Ganesh in Malaysia – this sharing of food and time was the most godly of actions and could be joined in with by anyone, regardless of creed. 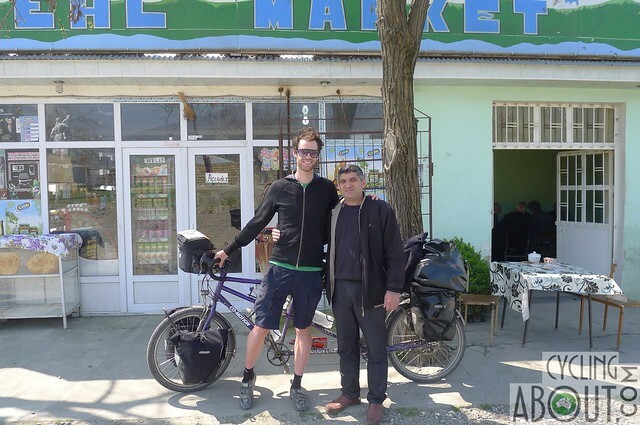 Meeting a generous tea shop owner in Azerbaijan who refused our money. Bigotry and xenophobia are a product of ignorance and lack of education, of a fear of people and places unknown, and quite frankly, of inexperience. However, once you meet and understand those new people, visit those unexplored places and have access to a rounded education, that fear is taken away. Travel encapsulates this gift by giving us access to all these parts of a multipronged approach. It was a common perception that the next country along our road would be far more dangerous and less trustworthy than the country before it; border crossing was often treated with suspicion and fear. Some people told us that they hated everyone from the next country, despite having never even met any of their neighbours. From Europe to our very own Australian doorstep, we were warned about what lay just down the road, about the people belonging to the next country over or even the next city or village! The crazy and confusing part for us was that the same people were upset when they are persecuted, when they hold the same unfounded prejudices against the next nation. If people, regardless of their nationality and background, were helped to stop relying on what the news tells them and instead were encouraged and supported to get to know their neighbours and associated cultures – people would without doubt, have nothing to fear. Sharing a short film with friends in Iran. Given our rather atheist, worldly and altogether PC upbringings, we never imagined to become fonder of religion; but its foundational and often pivotal role in societies worldwide was both heart-warming and eye-opening. Through religious practices, we witnessed family bonds, respect, kindness, generosity and a sense of community developed to another level above and beyond which we’ve come to understand as ‘the norm’ in Australia. Religion, for most of the world, is a strictly personal affair. We learned about the beauty of prayer, a time of day where you can experience time for you, in a safe, clean, calm and silent place. For most, prayer clears the mind, the body and the soul and gives people the mental strength to move forward. The infamous call to prayer woke us up in a plethora of countries bound by Islamic faith. A gifted Muezzin (the voice behind the prayer song) could make our skin tingle, our eyes moisten and our hearts sing. This passion and emotion sung five times a day is nigh on unrivalled by any other music. One might say that with religion often comes fundamentalism, blind ignorance and superstition; a fair observation given the media-saturated portrayal of supposedly religiously-motivated nutters and fear-mongering religious leaders. In general however, we feel that those who have and practice religion as love – and that is the majority – are rarely beleaguered by it, they are instead better off. In most western societies, it could be said the support of religious communities and participation in organised religion is decreasing day-by-day, mostly due to the happy fact that there is far less fear and uncertainty in people’s lives and too, more autonomy and self-reliance. However, again in our observation, world religion appears to extend further than this, it is just as much about improving the individual, making them a better contributor to the common good, as it is about quashing fear or a sheep mentality. While we are unlikely to ever define ourselves as religious, we are now certainly more open to its merits and less likely to consider its flaws as significant. Visiting an intricate temple in Cambodia. You might pick up the newspaper and read doom and gloom every day, but trust us – most of the world isn’t like that. The problems you read about are generally localised, and although they might exist within a particular country’s borders, that doesn’t mean the whole country is like that. For example, if you stayed at home and read the news, you’d have thought the Middle East is a place of constant conflict, war and radicals on crusade. The reality is that most areas are safer than home and the people who reside there genuinely want to get to know you. When posed the question, we give Iran and Japan equal weighting in terms of the lengths of honesty and safety allowed to each person whether they be citizen or visitor to these countries. 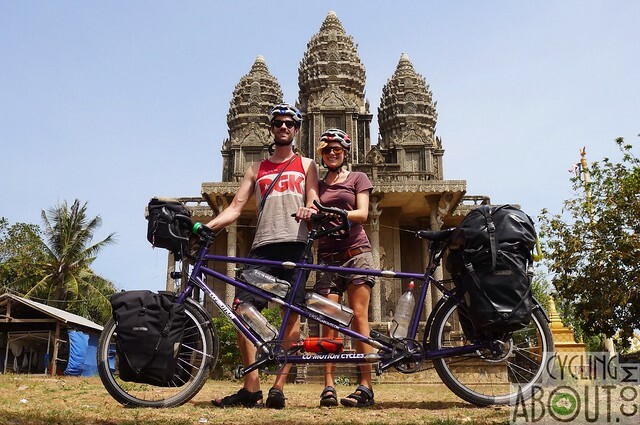 Believe it or not, out of every country we cycled we actually didn’t come across any highly dangerous political tension, nor experience any armed conflict. It is with deep satisfaction that we can say that the world is, by and large, very safe and easy to travel. We knocked on Charlie’s door to ask if we could stay with his family. The answer was, of course, yes! We’d always had the impression that being liberal-minded and stridently PC was essential; a prerequisite to being nice… how wrong we were! Humanity, especially expressed as kindness exists in everybody, no matter what his or her ideologies are. We’ve met many people who, mostly through lack of education or strictly conservative background might be your standard anti-climate-science, mildly sexist, confusingly racist, dogmatically homophobic types that we initially couldn’t imagine being generous to us, but then… they presented to us with open arms and open hearts. It is important not to spend life preaching to the converted, no matter which side you happen to be on. Through interaction with people who have different mind sets, different education backgrounds and family lives – indeed, different life experience from us, that is how lessons are learned, values are strengthened or challenged, insights are gained and friendships are formed. In Azerbaijan, it was commonplace to be involved in mining and the associated industries. In Australia, mining is often associated deeply with a disrespect for the land, for the world, for one’s own personal self-definition as a global citizen, however, the work in Azerbaijan is done with some consciousness. Many of the friends we made were applying their environmental understanding and respect to the highest of their capacity, often reasoning that if it weren’t them doing the work – holding many of the companies accountable – it would likely be a less environmentally-aware person causing preventable damage to the land. It’s pretty sad that we had got so stuck up in our own snobbery that we were left with these silly prejudices. We can now tell you that it’s human nature to be kind and compassionate, not something that comes automatically with liberal views. 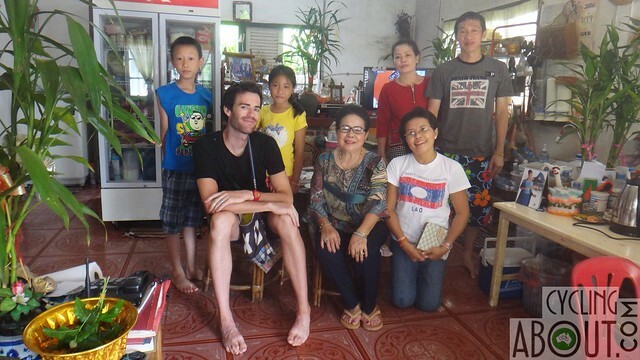 Spending time with a very generous family in Laos. Beyond the addition of basic safety, almost everything else doesn’t matter. 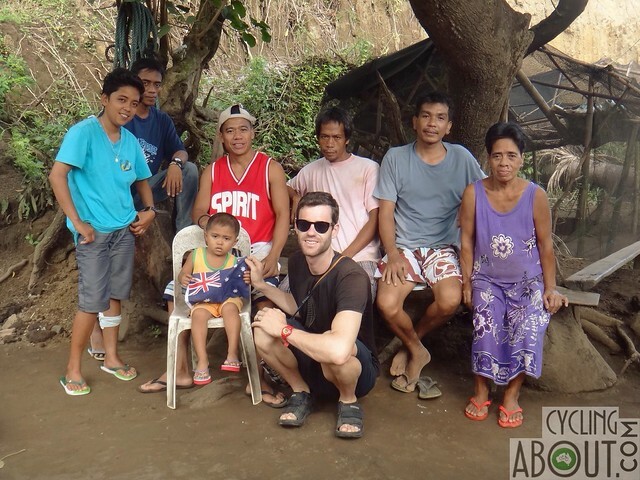 Among the amazing communities everywhere in the world, one that stood out for us was in the Philippines. The slums in Manila are some of the poorest in the world, yet when you spend time walking around the rabbit-warren streets and interacting with the residents, you’ll see children playing, families sharing, people helping each other out, endless music and dancing, and lots of smiles. Sure it could be interpreted as survival or a shared shouldering of burdens, but the vitality these communities glowed with would tell you otherwise. Filipinos are people with next to nothing who make more than just the best of a bad situation, but give life to the mundane parts of every day, who don’t take anything for granted and who value love, art, music and community like nothing else. We have a lot to learn from societies like this. 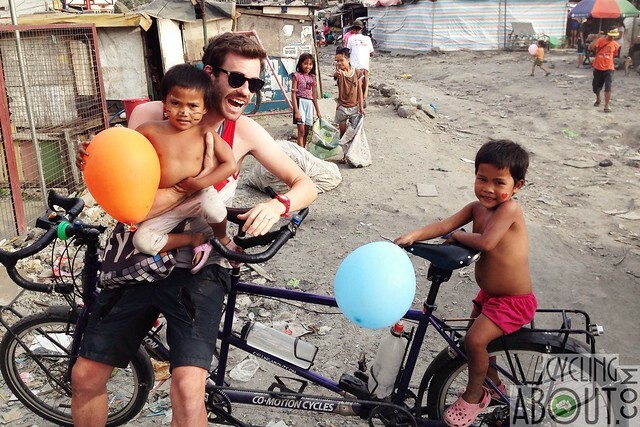 Many Filipinos have next to nothing, but the positivity of the country is overwhelming. To be blunt, we are all filthy hoarders. We humans – especially those of us with the means to – really like to collect and squirrel away things they rarely use. 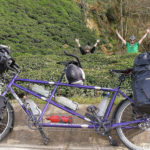 When we were merrily cycling for two years with two panniers of gear each, it quickly put into perspective the mammoth amount of stuff we (and everyone!) have at home. It is our experience that the less you have, the freer you feel (without being obnoxiously reductionist, of course). So the obvious lesson we’d like to share is to give away most of your clothes to opportunity shops, regularly clean out your cupboards to sell or give away anything you never use – in fact, don’t buy it in the first place. If you have stuff in storage that you haven’t used in years, there is a reason you don’t use it, so shed that stuff from your life too or use it instead of buying the latest upgrade. Among those who live the lightest in the world would have to be the nomadic. Given we didn’t meet any people who were actually purely nomadic in their home country, the obvious example to highlight this would be long-term travellers. George was a fellow who had begun his journey on foot and public wheel and had shed and shucked his possessions like a hermit crab unencumbered – left with only a satchel containing bare essentials for day-to-day living. Our appreciation of George was a little skewed by the skewwhiff advantage he seemed to be taking of everyone he met: instead of giving back what little he had, George made light of the magnitude of generosity offered to him, almost using his light footprint as a honeytrap, an excuse for people to feel sorry for him. That said, we met whole hoards of people who lived had the bare minimum and lived generously and openly. Travelling with the bare essentials gives you a new perspective on everything you own at home. We always thought that we were generous people until, while out in the wilds and wonders of the world, we discovered that our level of generosity wouldn’t even rank as ‘average’ in most places. The ferocity with which people want to help their fellow humans is all-eclipsing, humbling and incomparable. We were asked almost every day if we needed help with something and received kindnesses from good and great; it wasn’t just offerings of things either: people we’d just met took us under their wing and gave us a tour of their city; drivers and market-stall-owners alike waved us over to fill our panniers with food – we never went hungry. We were hosted in people’s homes and introduced to their families – only to be addressed immediately as family ourselves. People with almost nothing offered us everything they had; people paid for our tickets for transport and to events, footed the bill for our meals and even presented us with a five star hotel room or two. Perhaps the greatest gift we received was that people trusted us and cared for us without hesitation. Through this constant apparition of generous ‘moments’ on our trip, it became evident that generosity itself gives people something they couldn’t buy: emotions and connections. Whether it be happiness, love, a deeper understanding or an experience we could share over and over, it is clear that generosity provides people with a more enriching life. We can and will be more generous. Iranian people are some of the most generous people we met in the world. Australia is a meaty place; the world is a meaty place – in this western society there seems to be a greater reliance on meat than ever before, when we should be heading in the exact opposite direction. These days, the farming of meat and most animal-based products, is an incredibly wasteful and highly secretive process with death and suffering at its epicentre. It was a visual exposure to this needless suffering and the cold metallic taste of cruelty left in our mouths that made us need to address the ‘what’ and the ‘why’ of what we were consuming. Witnessing an animal being brutally and needlessly slaughtered was only the first of an appalling series of tastes we got of this world. 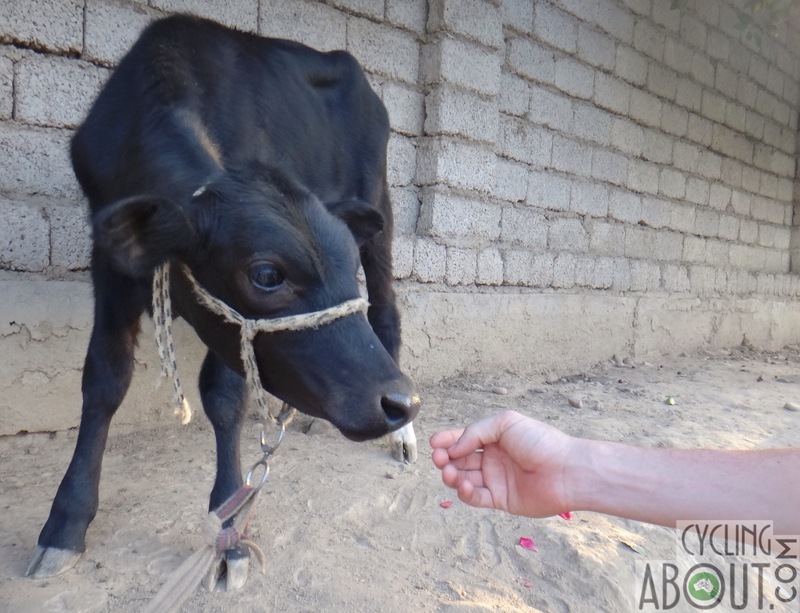 We begun our trip as mostly ethical omnivores with an already limited meat consumption: at the bare minimum we liked to know where our meat was coming from, as we’d already found ourselves at odds with most factory farming practices. As we travelled, we saw, heard and nigh on felt animal suffering in every country and culture. We saw goats, sheep, pigs, cows, chickens, ducks and dogs being beaten, kicked, restrained and stuffed into vessels. The crying of animals in pain was not an unusual sound track to our days, nor was it anthropomorphised. We decided that this was not a satisfactory way to exist – with this feeling of disquiet whilst eating meat and dairy from animals who’s suffering and unethical treatment we were aware of. Once we had made this decision, it was a bit of snowball effect: every piece of information we consumed, changed out consumption habits, leading us to more information and decisions to be made. We then began exploring nutrition and learned about the health benefits of a vegetarian/vegan diet. Through this process, we read, watched and listened to all sorts of media and people and ended up finding out much more about food, diet and eating as medicine; how our food practices affect the greater world population beyond the immediate effects on animals. Change has to start somewhere so why not with us? At home in Australia we eat a vegan diet that doesn’t at all slow us down; occasional supplements can be taken, but beyond Vitamin B12 which is only available in animal products or a synthesised format, we’ve learned that eating a varied, tasty diet is enough to get us through the day while feeling positive that our choices are not causing a lasting, damaging footprint on the earth as we might otherwise be. A calf in Uzbekistan. We love animals too much to ever consume them (or their products) again. Western society gender roles and family roles are deeply entrenched. We are walloped with the gender-stick as soon as we are born; bombarded with ‘pink and pretty’, or made to stand tall while crumpling under ‘strong and steadfast’; we are taught to expect our mothers to raise us and our fathers to provide for us. But for most of the world, roles of the family extend and enmesh with each other. There is much more generational crossover than in western culture, with grandparents, aunties and uncles, siblings and indeed friends playing the maternal roles in each other’s life. In Kyrgyzstan, family is so much more than a basic ‘Keeping Up With The Joneses Unit’; families are not only extended by blood and dutiful love, but can be chosen; families are made richer with more people. Family can be considered important above all else, which, in our book is the right way to look at the world. Family – however it is defined, plays a seminal role in our upbringing and understanding of our world, why wouldn’t it be advantageous for it to include a range of inspirational and foundational roles? In Central Asia, Asia, and South East Asia, family gives reason to rise, reason to work, reason to smile, reason to live, it is the people you have in your life that makes you contented, not the things. By and large, families outside Western culture do not become disparate individuals, but remain as a unit, often sharing homes, roles and responsibilities making everyone’s life easier and more enriched. The elderly are valued for the life lessons they embody instead of sent to count the days until their death in a retirement home, and youths are allowed autonomy and confidence instead of being fobbed off in front of televisions and online devices and the damaging loneliness of disconnection. 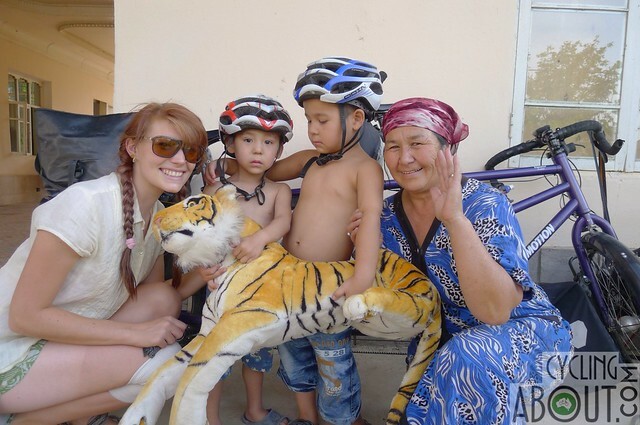 Kat becoming one of the family in Uzbekistan. Just before we left, we visited one of our grandmothers in a nursing home. She was almost 104 years old. The smell of that ‘home’ is still easily re-conjurable today; the pitiful aroma, a combination of sterile hospital wing, overcooked food and mothballs. That smell is one we won’t miss. One’s heart drops, understandably, every time we think about or walk into these establishments, seeing elderly people alone and unable to do much, staring out their windows and truly just waiting for their time to come; it’s heartbreaking. For the majority of families in most countries we visited, nursing homes aren’t institutionalised. Instead, elders are valued and respected right until their final breath. It is the family’s responsibility to care for their elderly members, who tend to remain active at their home and village. They provide years of wisdom to those who need it, manage gardens and support the younger generations; they live full lives right until the moment they die because ultimately, they are valued in society until then. It’s sad and thoroughly confusing that elders aren’t respected in the same way in the western world; they clearly need to be! What have you learned from your travelling experiences? 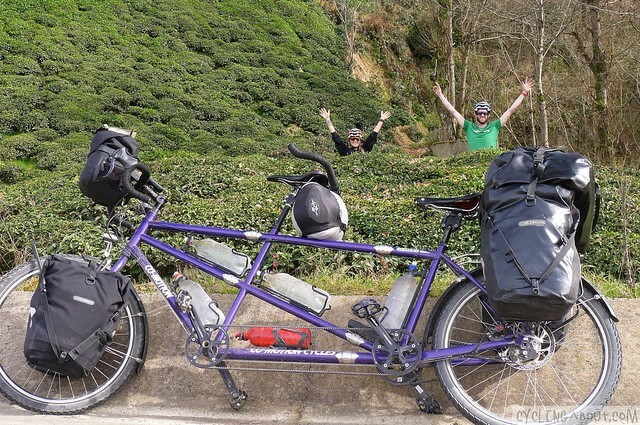 My Bicycle Touring Book is Now Available!! !